LUBBOCK, Texas. 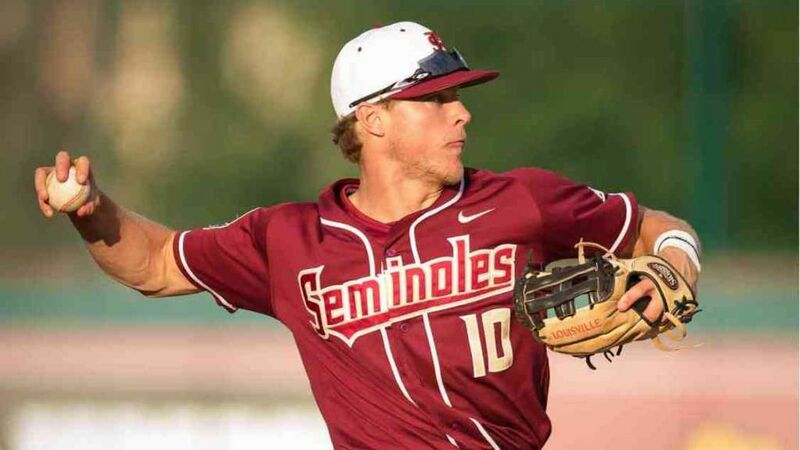 – Florida State’s Taylor Walls has been named to the watch list for the 2016 Brooks Wallace Shortstop of the Year Award, presented by the National College Baseball Hall of Fame. Walls is one of 54 players nationally to be named to the watch list. The award, sponsored by Mizuno, honors the nation’s top shortstop and will be presented as part of the annual Night of Champions celebration on July 2 in Lubbock. Walls, one of five representatives on the list from the ACC, has enjoyed an outstanding 2016 campaign at the plate. He enters the weekend ranked in the top three of six major statistical categories including runs (46-1st), doubles (15-1st), batting average (.371-2nd), hits (53-2nd), triples (1-2nd) and walks (30-2nd). In 16 of Florida State’s first 36 games Walls has had at two hits, including a season-high 4-for-4 outing at Pittsburgh March 19 where he scored two runs as part of a 10-2 victory. After recording multiple doubles against Rhode Island (Feb. 19) and College of Charleston (Feb. 27), he has tied teammate John Sansone in that category. The Cordele, Ga., native has also made his presence felt in the field for the Seminoles with a .952 fielding percentage that includes 28 double plays, 56 putouts and 86 assists.